Implementing an insulin resistance diet could be of great help when you want to prevent a prediabetes or type 2 diabetes diagnosis. You may be aware that one of the best methods to prevent diabetes is to modify your diet and ensure that you maintain a healthy wait. But, if you struggle with insulin resistance diet changes are extremely necessary to avoid the development of the disease. It is important to be aware of the causes behind insulin resistance and how this acts on the cellular level. Medical research and through studies of diabetic patients have shown that being overweight or obese, having excess of fat – especially around the waist – and having a sedentary lifestyle are the primary causes of insulin resistance. It is in these cases that an insulin resistance diet becomes necessary, in addition to a comprehensive exercise routine to trigger a healthy weight loss. Patients can consider an insulin resistance diet as an opportunity to reset their systems. Since struggling with insulin resistance is a warning sign to the possibility of developing diabetes, adjusting their eating habits and adding exercise becomes a new start to a healthier way of life. Many patients that have difficulties managing this issue, rely on the use of insulin resistance diet recipes to be able to have a clear picture of what they should eat, and what types of foods they should avoid. In general terms, there is not trick or specialty food group that you should consume in other to manage insulin resistance. Eating less carbs and saturated fats, cutting back on your sugar intake and increasing your lean proteins, fruits and vegetables is key to this method. Crash diets, elimination diets and those eating plans that eliminate one or two food groups completely are not recommended, especially at the beginning, because they cut down the amount of nutrients and vitamins your body needs to balance out its insulin production. In addition to these foods, it is important that you adopt certain habits when you are on an insulin resistance diet. Skipping meals is not recommended while following this eating plan, but rather focus on good, quality, wholesome meals, low in calories, sodium and sugar. Garlic Parmesan Chicken & Zucchini: this dish is colorful, garlicky and delicious! Flavorful chicken pieces combined perfectly with golden mushrooms and tender zucchini make this a delicious meal that comes almost straight from the garden. Balsamic Glazed Salmon: rich in healthy fats, packed with flavor and just one that can easily become a favorite, this meal is simply perfect. A combination of dijon mustard and honey provides the perfect glaze for this tender and flaky piece of salon. Colorful Vegetables Casserole: these summery days call for colorful plates to spike up your mood, and this casserole brings that plus a ton of deliciousness. Roasted eggplant, squash, onions, tomatoes and zucchini are topped with the perfect amount of cheese for a crusty finish. 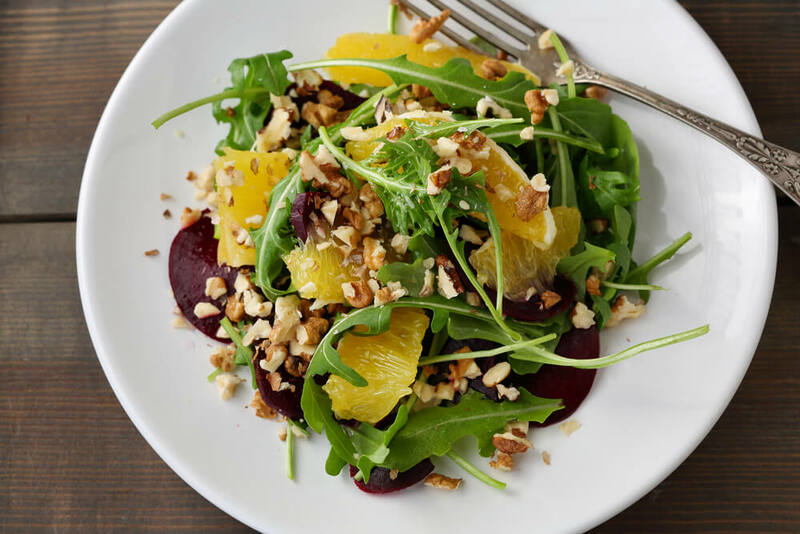 Citrus & Spinach Salad: seasonal fruit is always a good option to those watching what they eat. This salad is the perfect combination of leafy greens, juicy citrus fruits and melon, tossed with fresh prosciutto and a creamy dressing. Who could resist? Many of these recipes are available online, from health coaches and from your diabetes specialist. The important thing is to stick to something that is both healthy, and that works for you and your health management plan.